Living a Fit and Full Life: Get Radiant Skin with PurErb's Herbology Based Skincare Products! Get Radiant Skin with PurErb's Herbology Based Skincare Products! PurErb's Herbology Based Skincare Products are absolutely amazing! I have extremely dry skin with a few oily areas and have had the hardest time finding products that work for my skin. Some products initially help my skin look great but then cause me to breakout. With PurErb I've had amazing results. My skin looks wonderfully fresh and radiant, yet I'm still breakout free! PurErb's Vitality Deep Cleansing Oil is heavenly! I absolutely love that it doesn't dry out my skin. It also removes every trace of makeup, even eye makeup. My skin feels fresh and incredibly soft after each and every use. It's amazing how well PurErb's Vitality Deep Cleansing Oil has healed my dry skin. I was definitely a little worried that using a cleansing oil would cause me to breakout but I'm breakout free and feel like PurErb's cleansing oil has helped to balance out my skin thus eliminating any breakouts. 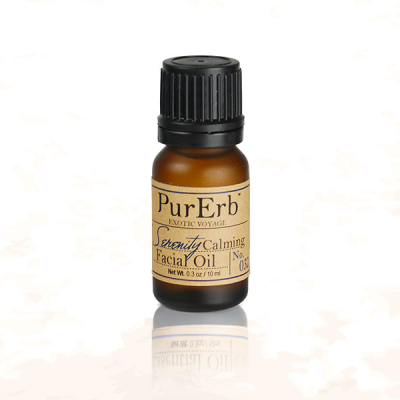 PurErb's Serenity Calming Facial Oil is a wonderful facial potion that nurtures my skin like none other. I absolutely love this product! My skin sometimes looks dull and unhealthy but with PurErb's Serenity Calming Facial Oil my skin is instantly transformed. PurErb's Purity Renewing Moisturizer is amazing! My skin looks radiant after using this moisturizer. I also find that it softens my fine lines around my eyes and forehead almost instantly. My skin feels incredibly hydrated which I love since I'm used to having extremely dry skin. PurErb's products have transformed my skin and given me a radiant healthy glow. I'm head over heals in love with PurErb's products! Click HERE to learn more about PurErb! Follow PurErb on social media!